For the first time lipsticks began to be used by the inhabitants of Mesopotamia 5000 years ago. Very quickly it was used by Egyptians. During the Middle Ages it was banned by the church. 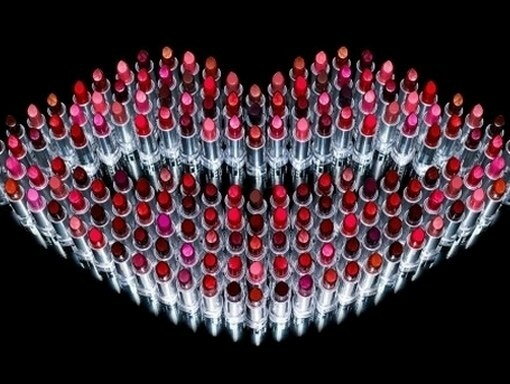 Modern lipstick contains wax, oil, coloring pigments and preservatives. It is hardly possible today to meet a woman who had no lipstick in her cosmetic bag. It appeared 5000 years due to local residents of Mesopotamia. Quickly about this novelty learned the inhabitants of Egypt. They made it from a mixture of beeswax, fat, natural red pigment. It was so popular that it was necessarily placed next to the body of a dead woman. Some time later, the Romans and Hellenes learned about the cosmetic remedy, which decided to slightly change the composition of lipstick, adding chemical elements to it. Then, during the Middle Ages, this cosmetic was completely banned, and its second birth touched the Renaissance period. Richelieu asked to create an ointment with the taste of apples. So the word "lipstick" appeared, which from French was translated like an apple. In 1915, lipstick was first introduced into tubes. Sarah Bernhard called this cosmetic a "love stick." Until 30-ies produced only one color. When Helena Rubenstein adjusted the production of different shades of lipstick at a low price, the world began a "labial fever". Modern cosmetic is made on the basis of oil, lanolin, dyes. The latter component is mainly derived from chemicals. Depending on the proportions of substances, the properties of lipstick change. For example, matte creamy cosmetics for almost 10 percent consist of dyes, so they are resistant. In the pearlescent species, synthetic mica is often added, and the shines consist almost half of lanolin. If we talk about individual elements, then thanks to wax the composition turns out strong and plastic and lipstick evenly lies on the lips. Since this natural element can lead to the appearance of allergic reactions, in the modern world it is often replaced by artificial ones. Castor is used most often as an oil, but it is sometimes replaced with coconut, olive, lanolin, and petroleum jelly. Fats give lipstick firmness and protect lips from weathering. Preservatives extend the life of the cosmetic. • persistent can last on lips up to 24 hours. It is important to choose the right cosmetic for yourself so that it does not bring discomfort and does not leave stains after erasing.